Even though the temperature last night went down to 45 degrees, yep Mother Nature is WHACK! The strawberries are still ripening daily in the garden. One of my favorite things to grow is strawberries, they make an appearance every spring and as long as you provide decent soil, full sun and enough water they go about their business with no fuss. 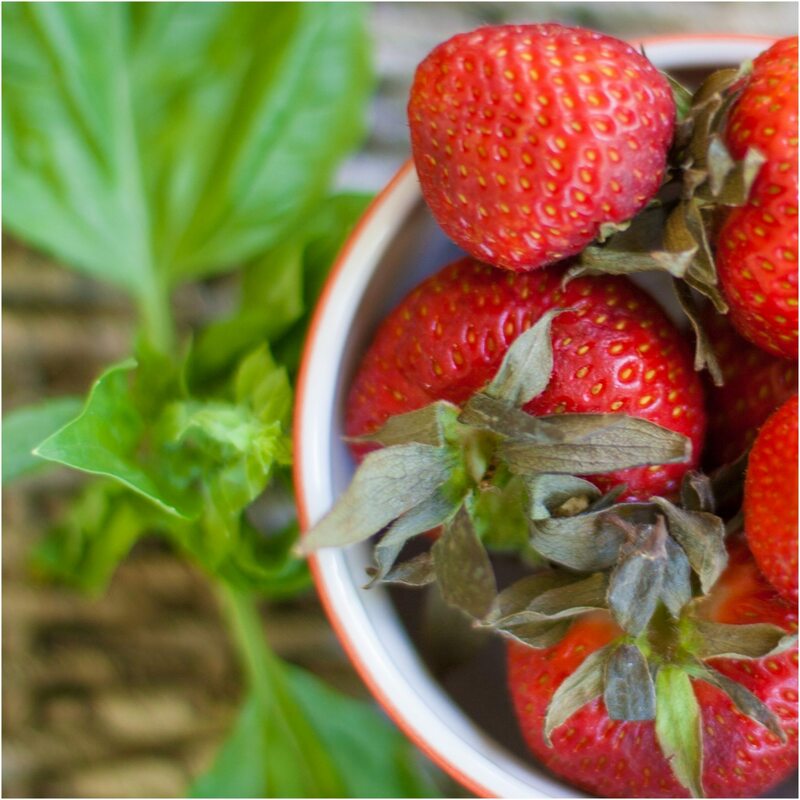 If you want to learn how to grow your own strawberries, click here. I wanted to share a cocktail with you that we could serve over this Memorial Day weekend, that was refreshing and easy to pull together. My recipe is for a single Margarita, but you could easily multiply the ingredients by 8 and make a pitcher to serve a crowd. You can also make this ahead of time and stick in the fridge; just add ice before serving. 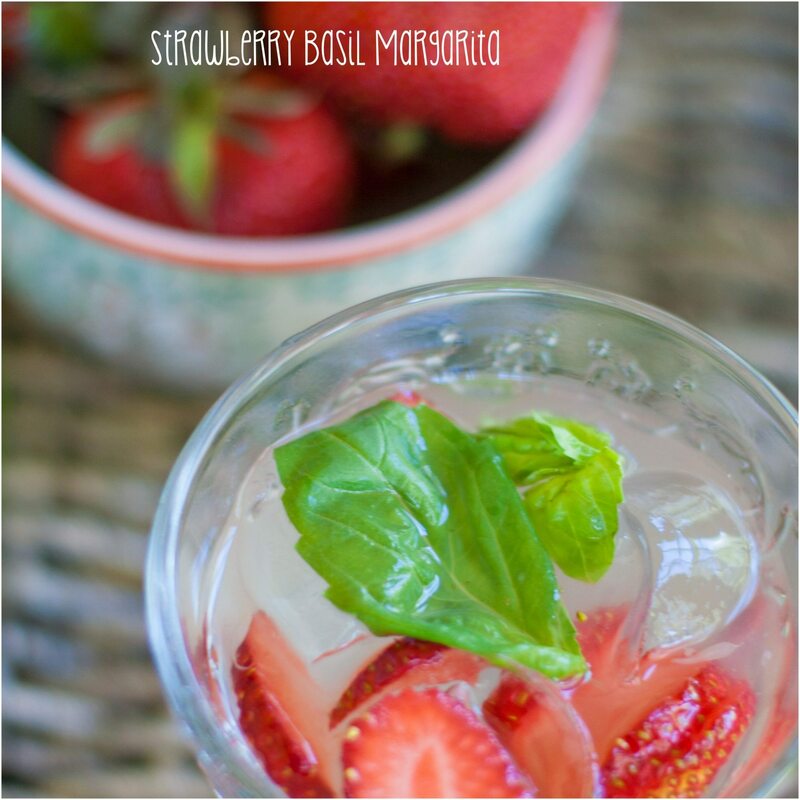 The Strawberry, Basil and Lime juice combo is so refreshing, so be careful when drinking…. it goes down very easy. The weather here is going to be a bit cool with a chance of showers on Monday. I hope you have a sunny, safe and fun Memorial Day! Its the kick-off to summer, we just need Mother Nature to play along. In a low ball add ice. 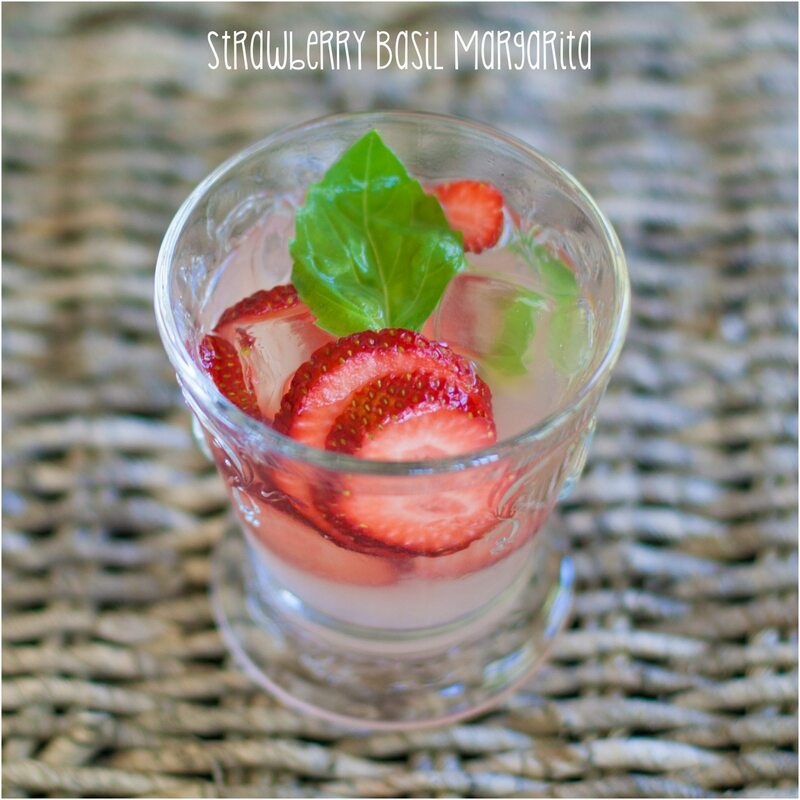 Pour lime juice, simple syrup and tequila and top with strawberry and basil. Serve a crowd by multiplying recipe X 8. Can be made ahead of time and stored in the refrigerator. Add ice before serving. This sounds pretty amazing! It combines two of my favorite things- margaritas and fresh basil. Do you think it would be good with salt on the rim?